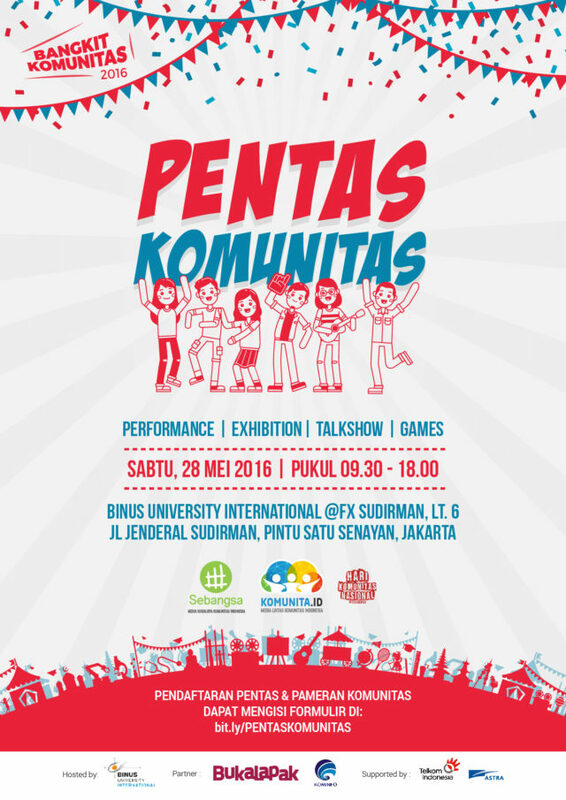 Center for Innovation & Entrepreneurship (CIE) of BINUS University International and Sebangsa.com (social media platform for local communities) are managing a partnership to run “Pentas Komunitas”, a meet-up event for communities with various performance, exhibition, talkshow, and fun games. The event is expected to inspire students on how to nurture their passion through community which then would be a driver for innovative and entrepreneurial activities. The number of community that will attend is more than 50 (out of 2000+ listed communities around Indonesia), such as Hip Hop Clan, Rumah Pijar, Life for Edu, Detectice ID, Youth for Climate Change, Untuk Papua, Sobat Budaya, and many more. Furthermore, CIE believes many communities have a social foundation which defines the characteristic of community-based entrepreneurs or social entrepreneurs.